PDG recently completed an interior remodel on Walt Disney World’s 20,000 square foot DataCenter in Lake Buena Vista, FL. 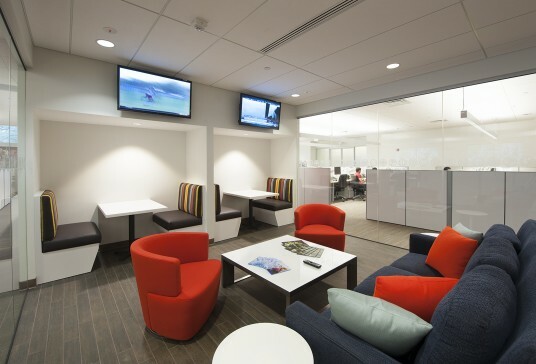 Included in this large project were new workstations for both cast members and partners, new office arrangements with updated furniture, a refreshed Cafe and Collaborative area, and renovated “Huddle Rooms” and conference rooms. Also included were updates to the IT infrastructure as well as improvements to the exterior of the entire building. The project was phased to allow for continued occupancy during the demolition and construction.